Being single on Valentine's Day isn't typically thought of as a reason to celebrate – but it's up to you to change that this year! If you find yourself without a date this Valentine’s Day, instead of feeling bad for yourself, celebrate! Think of all the positives of being single on Valentine’s Day. Think of the money you are saving on expensive gifts and dinner. Or about how Valentine’s Day is such a commercial holiday — all the flowers, chocolates, jewelry and stuffed animals that couples are encouraged to buy one another. Focus on the freedom you have on this day; no one to have to impress, no one to pamper, and no expectations to live up to. Think of the fact that many couples spending this holiday together truly aren’t happy, and at least you know you aren’t “settling” for the wrong person! Get dinner & drinks with friends or family. Since Valentine’s Day is after all a holiday of sharing your love for those you care about, why not spend the day with your family, or with some friends? Catch up, enjoy a nice glass of wine, and some good conversation! Take a nice long bubble bath with your favorite book and a glass of champagne. Pick yourself up a box of chocolates. Spoil yourself by buying that awesome — yet expensive — thing you have wanted! Go mingle with other singles. Many bars host a “single’s night” on Valentines Day. Even if you cannot find a bar nearby that has a special “single’s night,” I am sure any bar you walk into will have other singles there to mingle with — watch out though, there may be some major desperation and whining going on with some of the singles… and this you will want to run away from! It should be a day of celebration! If you are single, and wish to begin dating — whether it be just to meet new people and have some fun or to meet that special someone — then use this day as an opportunity to formulate a plan of action to make it happen! Whatever you decide to do – enjoy it! 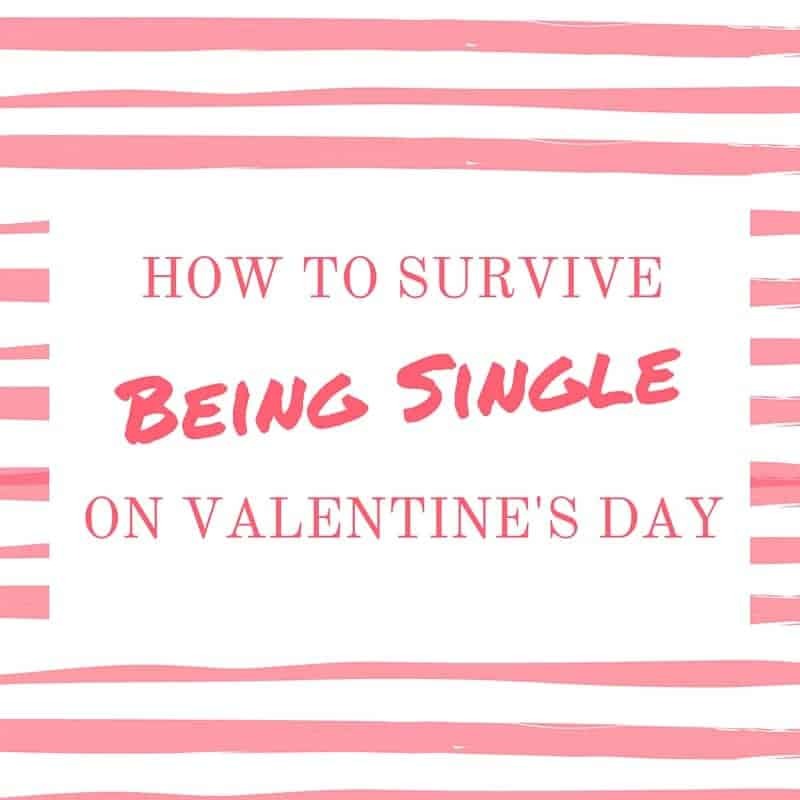 I would love to hear how you are planning on enjoying being single on Valentine’s Day – let me know in the comments below! Great tips! Thanks for looking out for the single ladies (and gents)! I don’t mind being single at Valentine’s Day. I will be taking my Mom out for inner and that will be more fun!